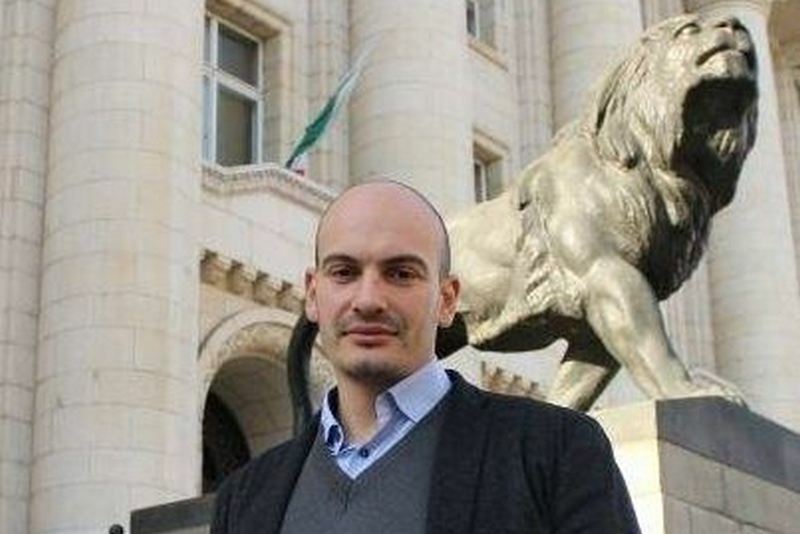 The police detained Bivol investigative journalist Dimitar Stoyanov along with his colleague Attila Biro from RISE Project Romania in Radomir on Thursday. The two were working on a story about corruption and violations of public procurement procedures at the time of the detainment. The police released them later after the Romanian embassy intervened. The story took Stoyanov and Biro to a site in a field where documents were being destroyed and dumped in a hole in the ground. They filmed the incident and informed the police, which detained them. According to the site Bivol the documents are connected to a corruption scheme involving large construction companies. One of the companies in question is GP Group Ltd., which has ties with PM Boyko Borissov and Lukoil CEO Valentin Zlatev. Bivol reportedly informed the police that Bivol reporters are on site witnessing compromising documents being taken out from GP Group Ltd.’s offices and the police came out and took them down to the station. Bivol claims it is in possession of many documents for tens of construction projects totaling in hundreds of millions of leva Among these documents “are accounting records where the sums for bribes are specially indicated”. According to the data in the documents, GP Group Ltd. saved from materials and activities in public procurements and falsified reports to indicate otherwise. According to its reports, the company reports use certain materials and executing activities but that is only on paper. Per the reports, the company receives full reimbursement for the procurement without actually having fulfilled it. Asked if the police had abused their power in this case, especially as the journalists had legitimized themselves, the special police unit’s chief Ivaylo Spiridonov said that that is not the case, and actually “this was not really a detainment. The persons were taken down to the station in order to confirm their identities.” He explained that that was not possible in the middle of the field they were in. Spiridonov claims this was neither an arrest nor a detainment but none of the civilians had any choice in the matter. At the station, the police took away the two journalists’ and their lawyer’s phones and there was no way to reach them for hours. This caused alarm with Biro’s colleagues in Romania, which likely led to the Romanian embassy’s involvement and their ultimate release. The message goes on to say that the AEJ have been trying to find out more from the local police department but the officer on duty kept hanging up the phone. They tried to reach the department via the central office of the Ministry of Interior in Sofa but the officer had hung up on them also, saying he is “not a spokesperson to give out statements”. The AEJ concludes its statement on Facebook by expressing hope that the relevant institutions will come around and provide the necessary information about the police motives to conduct the detainment. “We remind that journalists serve the public’s interest by default and any restrictions against them should be extremely well justified, otherwise what we have is limiting freedom of speech”, the message concludes. While the story made international headlines abroad, it was barely reported by the Bulgarian mainstream media, especially TV. The honorary leader of opposition party DPS, Ahmed Dogan - who boasted five years back that he personally “allocates the companies’ portions in the country” - has acquired TPP Varna for as little as 3500 leva. The plant’s current capital exceeds 85 million leva. This is not the first time Dogan, who holds a degree in philosophy, enters very resourceful fields, which involves very specific and high expertise. Last year he took a consulting fee of 1,5 million euro for work on the hydro plant Tsinkov Kamak’s construction. Former transport minister from DPS in Plamen Oresharski (BSP)’s cabinet, Danail Papazov’s children, Stanislav Papazov and Ivelina Papazova owned 36% and 34% of the company Sigda, which brought TPP Varna back in late 2017 from owner CEZ. Sigda paid 50 million euro to complete the deal and took a loan from the First Investment Bank to finance it. Stanislav Papazov and Ivelina Papazova, in turn, sold their shares of Sigda to Dogan in July 2018 for 1800 leva (for Papazov’s shares, 36%) and 1700 leva (for Papazova’s, 34%). This way Dogan is now the majority holder in the company with 70% of Sigda’s assets to his name. Over the last year, the plant was relaunched without actually producing power. This happened by state presents through the so-called cold reserve. The cold reserve is power capacity, which is not tapped but remains on standby in case of power shortage. These cold reserve capacities receive subsidies to be available if needed. In order for TPP Varna to become eligible for the cold reserve it first increased its volume. After that, surprisingly enough, the state-owned Maritza Iztok II - which provided cold reserve – announced it denounces its cold reserve capacity. This way Dogan essentially bought a plant, for with the government has planed a 27.4 million leva in subsidies for next year. Ruslan Stefanov of the Center for the Study of Democracy, a leading Bulgarian think tank, told Mediapool that this is the consecutive example of state capture in Bulgaria. “The question remains who has the capacity and willingness to investigate this case”, he said. He argues that what we see now is only the final stage of a carefully crafted corruption scheme, which finishes off with Dogan gaining 200 million leva for the price of 3500. Sooner or later, Vassilev writes, the middlemen must make way for the real owners. 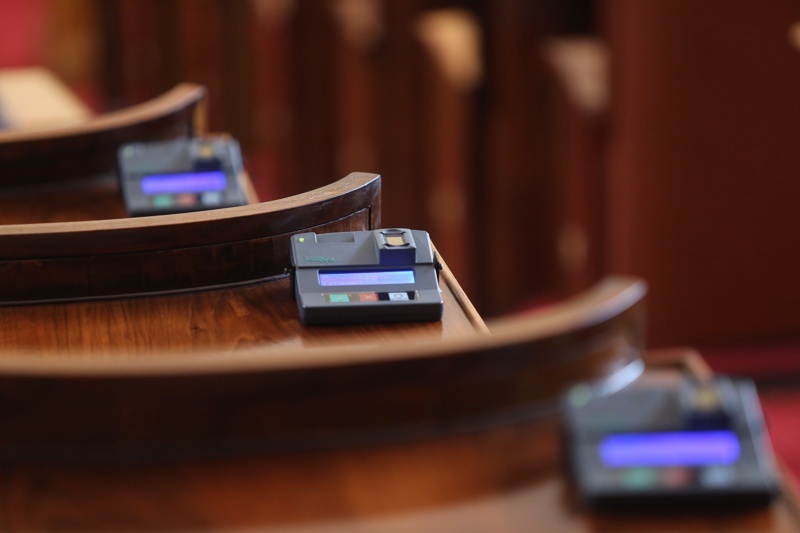 The Parliamentary Judiciary Commission rejected President Roumen Radev’s veto on part of the controversial amendments to the Administrative Act, which Parliament passed in the eleventh hour before the summer recess. 12 members of parliament from the largest ruling coalition member GERB, the Movement of Rights and Freedoms (DPS) and the coalition partner coalition the United Patriots. 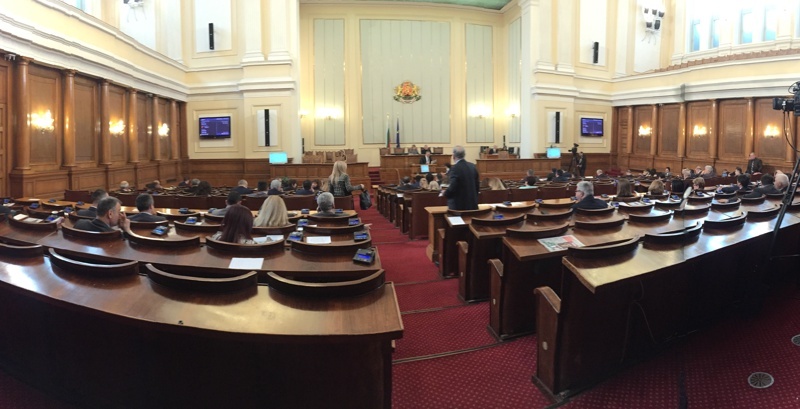 Seven members of the largest opposition party, the Bulgarian Socialist Party, voted in favor of the veto. A few days later an overwhelming majority reaffirmed the rejection in plenary. All parliamentary groups except for BSP voted in a rare instance of unity across party lines. GERB, DPS, the UP, and VOLYA collectively managed 146 votes against the president’s veto. BSP’s votes to review the amendments and honor the veto were 69. The amendments to the Administrative Act have been called out by NGOs as restricting citizens’ rights to take legal action against administrative decisions. The amendments provide for much higher fees for appeals, introduce a single instance judiciary control in some cases, an option for ruling on cases behind closed doors, and more. BSP MPs Krum Zarkov and Yavor Bozhankov were among the harshest critics of the bill. “If we fight misuse of rights by taking them away altogether, we have a big problem”, Zarkov said. He proposed a hypothetical where a municipality and an investor may use the provision to carry out proceedings behind closed doors and that way hide court proceedings in cases of high public interest, and such that would likely involve public-owned land. The hypothetical refers to lands along Bulgaria’s coast and in the mountains, which are at the top of investors’ wish lists; those are often under protection or restrictions, which corrupt procedures and officials manage to lift one way or another in order to pus forward real estate and other construction projects. DPS MP Hamid Hamid engaged in a lengthy speech against environmental organizations, the likes of which can be found in any of the infamous media mogul and DPS MP Delyan Peevski’s publications. GERB MP Danail Kirilov thanked him and applauded Hamid’s portrayal of the green organizations. Hamid asked his fellow MPs in Parliament in a sarcastic tone, “Are we discussing the president’s veto or Toma Belev’s?”. Toma Belev is one of the best-known names in the pool of Bulgarian environmental activists. BSP Leader Kornelia Ninova pledged to take the amendments to the Constitutional Court. MPs from the far-right nationalist parties ATAKA and VOLYA have called on PM Boyko Borissov to defend Hungarian PM Victor Orban before the Council of the EU. The European Parliament voted with an overwhelming majority in favor of triggering a procedure that would strip Hungary of its voting right in the EU. 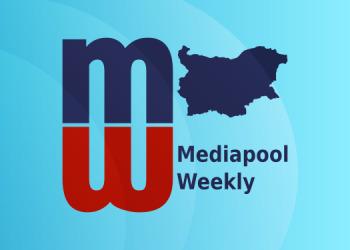 The unorthodox measure is an answer to Orban’s continued disruptions of EU rules and laws, the restrictions of media freedoms in the country, the government’s stances on migration, etc. 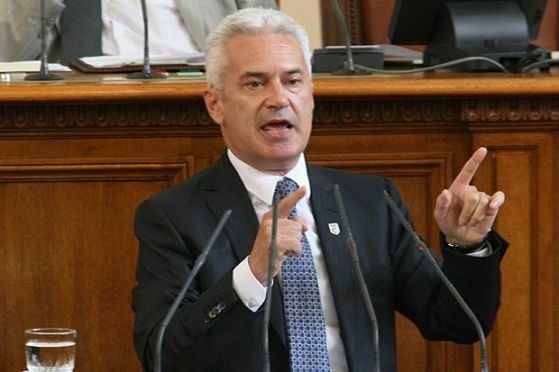 The chairman of the parliamentary group of the United Patriots, Volen Siderov, read a declaration by the group to Parliament, where the far-right fractions express their want for Borissov to defend Orban to their EU colleagues. In Siderov’s words, Orban is an exemplary PM for all East European countries by showing how there can be more flexible policies and more focus on a country’s own people within the EU and NATO. He has, Siderov continued, defended traditional values, helped to halt the migrant influx and to restrict the influence of some organizations in Hungary, whose goal is to disorder the national identity. Siderov is likely referring to Orban’s continued efforts to undermine George Soros’s Open Society Foundations and Central European University in Hungary. The Bulgarian members of the European Parliament from the largest ruling party GERB and VMRO voted against triggering sanctions. The three ministers’ resignations, which were submitted two weeks ago are still in limbo. Transport Minister Ivayko Moskovski, Minister of Interior Valentin Radev, and Minister of Regional Development Nikolay Nankov resigned at the request of PM Boyko Borissov amid a deadly bus crash near the city of Svoge, which claimed the lives of 17 people. There has been speculation that at least one of the three, Nikolay Nankov, will remain at his post. On September 9 Parliament Chair Tsveta Karayancheva indicated that there is a chance the resignations will not pass the Parliament’s vote. “Submitting a resignation is a political act, accepting it is an entirely different question. [My] colleagues acted honorably by resigning. Even if they get replaced, the newcomers will continue their work, as they were very successful ministers. She expressed an option that in cases such as this, lower administrative posts should take responsibility because a minister cannot know everything that goes on in a ministry. Meanwhile, two names emerged for the posts in the Transport Ministry and the Ministry of Interior. 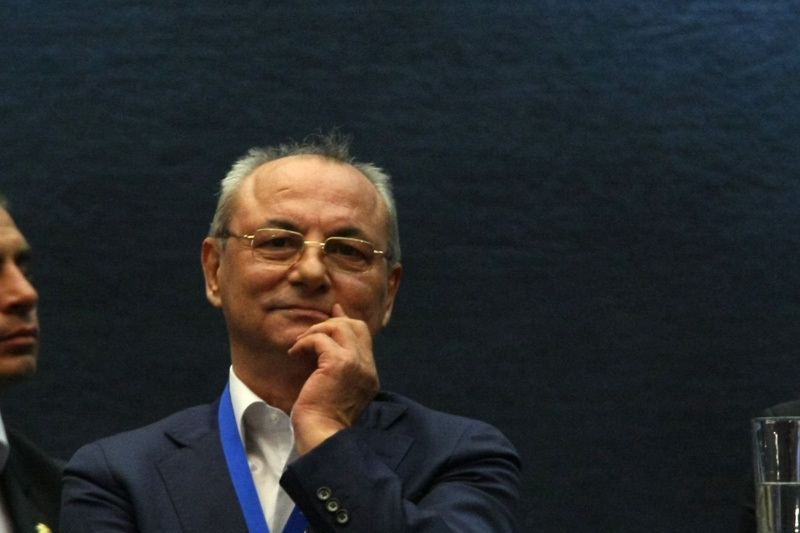 Alexander Manolev almost got nominated for transport minister but withdrew in the last second, likely not least because reports reemerged that he had been the cause of a car accident in 2012. Curiously, news about the accident could not be found in the media lately, but Capital Weekly republished the story. The Ministry of Interior will likely be headed by its current chief secretary, Mladen Marinov. This is a shift in PM Borissov’s tendency until now to appoint people foreign to the system as ministers of interior. Parliament was scheduled to vote the resignations on Thursday but postponed because President Roumen Radev had not signed off on Mladen Marinov relief of duty, as the former is out of the country. Passengers from Beirut landed in Sofia and entered the country with no passport control. 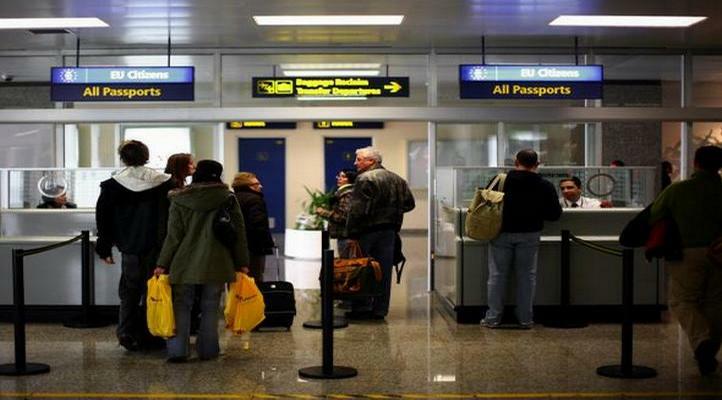 This is the third time people enter or exit the country via Sofia airport without anyone from the Security Directorate at the Ministry of Interior to check their passports. On March 21 half of the passengers from a flight to Paris were not checked before entering the country. Five of the 13 officers who were not on post got fired and others got sanctioned. On July 13 a private jet landed in Bulgaria and then took off to Greece without anyone checking the crew and passengers. Then the ground controller took full responsibility for the incident. 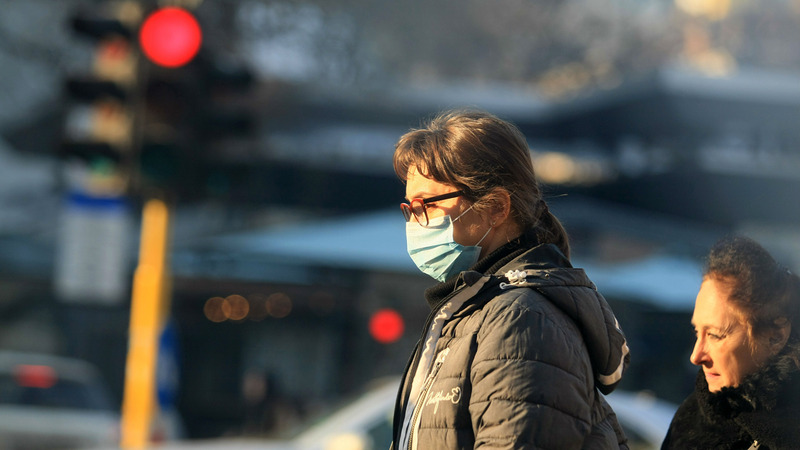 Bulgarians breathe the most polluted air in Europe, which shortens their healthy lives by 2.5 years. The average reduction in health for the EU is 0.7. Sofia Municipality has done next to nothing to improve the air quality by reducing fine particles emissions in the city for the last nine years. Moreover, local authorities, legislators and policymakers have done nothing to tackle air pollution by households. These are some of the conclusions from the European Court of Auditors report, dedicated to air pollution in the EU. The report points out that the only measure taken in Sofia since 2009 is the replacement of old cars with new ones. Another weakness is that Sofia does not publish air quality in real time on the municipality’s website. Moreover, the effectiveness and reliability of its whole air monitoring system are questionable. For example, “Sofia has no industrial monitoring stations even tough power plants and other industrial facilities are located there”. The report points out that one of the critical stations in Sofia, which registered the highest levels of fine particles in the air in Sofia, Orlov Most, was removed in 2014 because of construction work for the subway. Once Orlov Most station was gone, the average fine particle concentration across the city dropped significantly. A month ago the Bulgarian Auditor’s office came out with very similar conclusions about the air quality and specifically about the lack of measures authorities, legislators and policymakers take to combat and prevent air pollution. She admitted 71 days is still two times as much as they should be but maintained that the task is not easy, not to be tacked with one measure and by one institution. She said that the municipality is fully ready to apply to the Operational Program Environment to help replace coal heaters in the households.